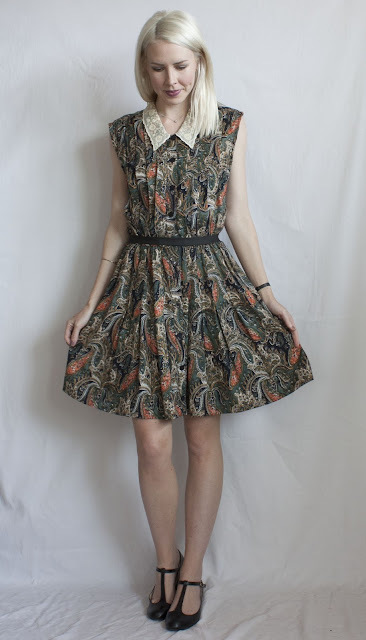 Baggy short sleeves to the elbow, baggy bodice area, shoulder pads, and an awkward mid-length skirt. Ok but the collar is amazing, right?! 2. Cut and hemmed the skirt to just above the knee. 3. Tapered in the bodice for a better fit around the torso. 4. Removed the belt and added a thinner, sleeker one. I really really like all your refashions and would Like to do some myself. 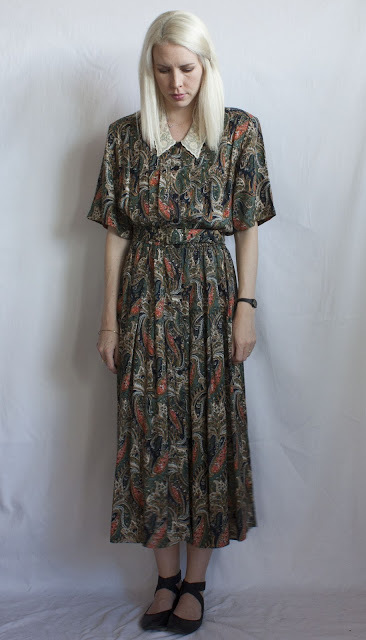 Where do you find all the original dresses? ?